Buy 1 Get 1 FREE – Items Starting From £1.95! Selected Items Only. While Stocks Last. Clearance Sale Items From £0.49! Epic Flash Offers From Only £1.35 + Free Items! * Normal order conditions apply, including £25 minimum spend for chilled orders after discount. The before price of this hamper is based on the cost all these items would cost separately as 27th October 2017. Muscle Food reserves the right to extend or cancel this promotion at any time. Your discount code, will discount your hamper to £45 at checkout. * Normal order conditions apply, including £25 minimum spend for chilled orders after discount. The before price of this hamper is based on the cost all these items would cost separately as 27th October 2017. Muscle Food reserves the right to extend or cancel this promotion at any time. Your discount code, will discount your hamper to £65 at checkout. * Normal order conditions apply, including £25 minimum spend for chilled orders after discount. The before price of this hamper is based on the cost all these items would cost separately as 27th October 2017. Muscle Food reserves the right to extend or cancel this promotion at any time. Your discount code, will discount your hamper to £85 at checkout. If you’re no stranger to saving money online, claiming an offer with MuscleFood is super simple. Even if you’ve never attempted to get a few quid knocked off your order before, we’ll walk you through the process step-by-step. First things first, scour this page from top to bottom to find a deal you would like to use on your order. Note: make sure you take full advantage of this page. We update all promotions daily and we wouldn’t want you to miss an opportunity to make significant savings simply because you couldn’t be arsed to scroll all the way down! When you have selected your promo code/offer by clicking the ‘Get Code’ button, you’ll be met with a pop-up which will reveal your code to be used. Simply copy this by either highlighting this and right-clicking on your mouse or long-pressing on your smartphone. A new tab would’ve opened simultaneously on your desktop or device to send you to the MuscleFood website to apply your code. Note: some deals, offers and vouchers on this page won’t require a discount code and will be automatically applied when you checkout. In this instance, when you click ‘Get Code’ it will simply say ‘No Code Required’. 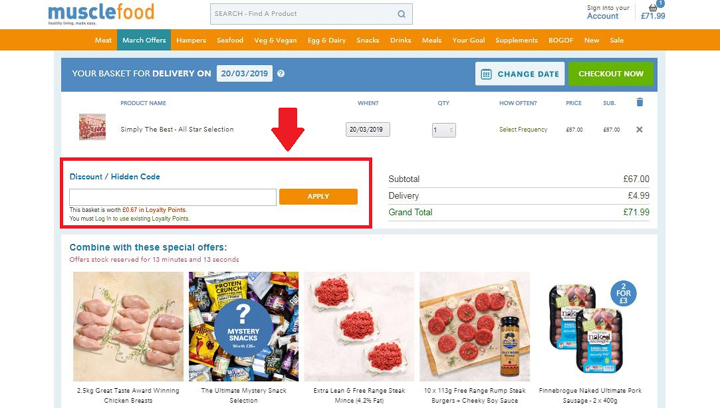 If you selected the ‘Get Offer’ button, you don’t need to worry about copying any codes, you’ll automatically be sent to the MuscleFood website. Shop around as normal and when you have added the items you wish to purchase, simply add them to your basket and proceed to checkout. The final step is to paste in your code by either right-clicking on your mouse or long-pressing on your smartphone where it says ‘Discount / Hidden Code’ on the checkout screen. Once you have entered your code and triple-checked that it is correct (it can be case sensitive at times), click ‘Apply’ and voila! The discount will have successfully been applied and you can now enjoy some extra dosh in your pocket to throw on a new pre-workout. Now all you need to do is enter your payment details and you’re all sorted! My MuscleFood Promo Code isn’t working! What do I do? There are a few things you can do to correct the issue. Check the offer is still valid and hasn’t expired. Make sure you have read all of the terms and conditions and check you meet those conditions. For example, many deals we promote will stipulate conditions such as x products only, minimum spend/maximum spend (‘no more than x items’) or limited availability (‘new customers only’ or ‘while stocks last’). Ensure you have entered the voucher code exactly the same way it has been advertised on CheckMeowt to avoid any case sensitivity issues. You can shoot us a line via email or Facebook where we’ll look to get the issue resolved as quickly and as humanly as possible. MuscleFood are an online food retailer based in Nottingham, UK. They specialise in providing premium cut lean meats, high-quality protein foods and snacks as well as best-in-class sports supplements. They were originally founded by Darren Beale in 2013 and have since gone on to become one of the most respected brands in the health and fitness industry by winning the Specialist Online Retailer of the Year award at the Grocer Gold Awards in 2018. Where does MuscleFood’s meat come from? MuscleFood always aim to give you guaranteed quality. All of their meats are responsibly-sourced and come from reputable British and Irish farms who emphasise only the best in animal welfare. 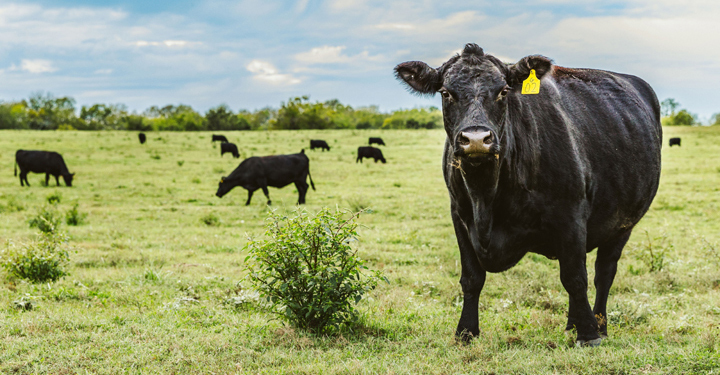 Their meat has been sourced from farms where the cattle are raised on a grass-fed diet in their natural habitat. Their meat also comes with no added salt, water or any other additives, meaning they come with more nutrition (and more importantly, protein) per pound! Where does MuscleFood’s chicken come from? Their chicken are sourced from the European Union (EU), namely Lithuania, Poland, Romania, Belgium, Holland, Italy and Spain. Despite being imported from these countries, these EU-based farms abide by all UK animal welfare standards. This means that, despite being reared on foreign soil, their chicken are of the quality you'd expect to find as if they were bred and nurtured in the UK. Their main meat supplier is a British Retail Consortium AA Rated Supplier who deliver across the UK 7 days a week. As the UK is not exactly a hotbed for wild crocodiles, kangaroos and buffalos these exotic meats are imported from Africa, South America and Australasia using their supplier’s worldwide supply chain. Is MuscleFood’s chicken free range? MuscleFood’s chicken are raised on a breeding farm where they are free to roam around with the maximum density of these farms set by European regulation. 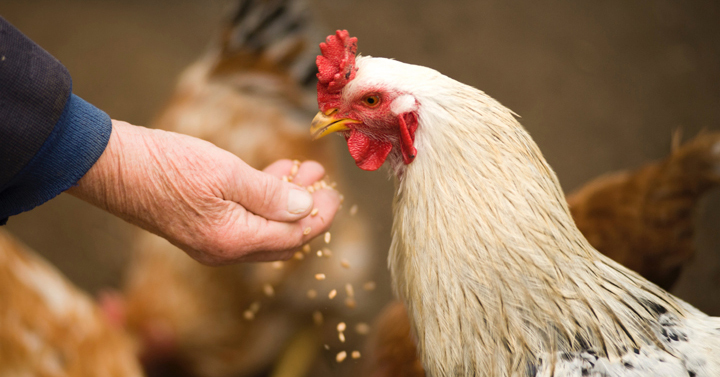 Their chickens are 100% corn-fed using industrialised farming methods and are closely monitored by veterinarians in the final weeks of breeding. 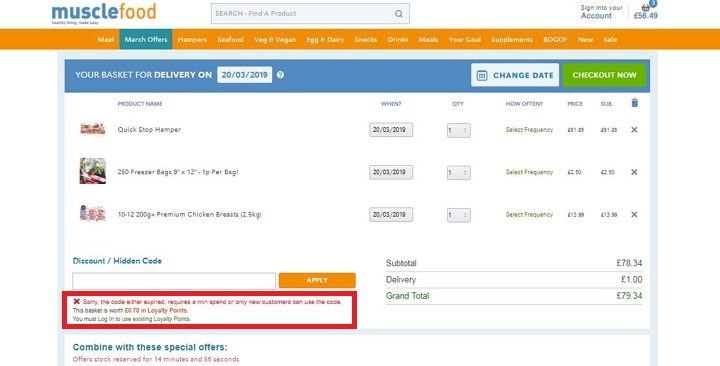 Whilst there isn’t a specific free range label used in the UK, MuscleFood would have to provide reasonable evidence to customers that their chicken are free range in order to advertise this on their website (which they aren’t currently doing). 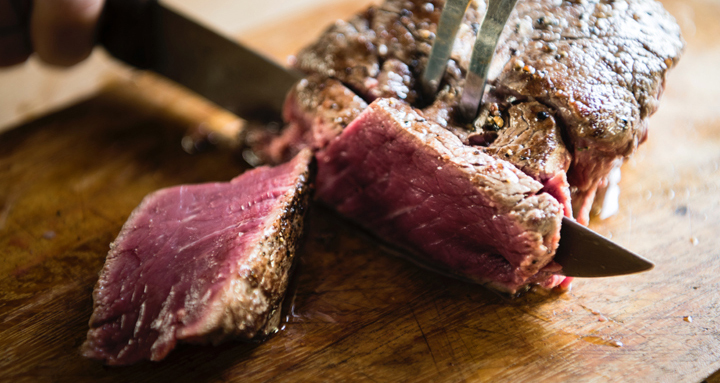 They do have a selection of meats such as their British and Irish grass-fed steaks which are free-range that you can choose from. Is MuscleFood suitable for vegans? Whilst you won’t benefit from the lean meats, cuts and various other non-vegan meals or snacks available on site, they do have a dedicated section available specifically for vegetarians and vegans. You can shop the vegetarian and vegan range here. Do MuscleFood have a seafood range? 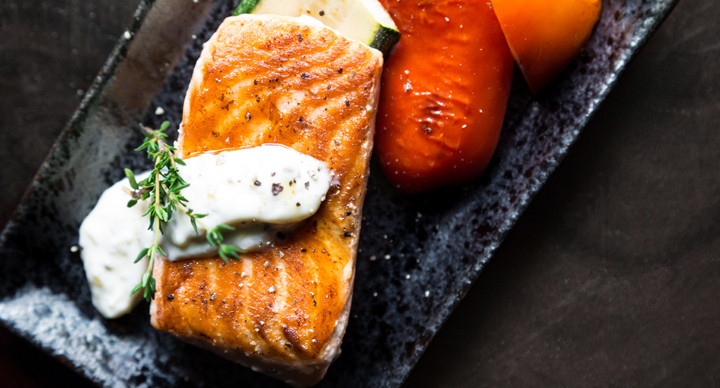 They currently feature fresh fillets, mouth-watering shellfish and convenient ready-to-eat dishes full of vitamins, minerals and hearty Omega-3 fatty acids. You can shop the full seafood range here. Why is MuscleFood so cheap? MuscleFood are able to provide you bargain-basement prices consistently because they’ve cut out supermarkets in the distribution chain. This means that you are getting high-quality food at exceptional wholesale prices all of the time. They can be frozen for up to 3 months. It is always recommended to freeze any unused meats upon receipt of delivery. Can you cook MuscleFood from frozen? It is advisable to fully defrost any frozen products first before attempting to cook. Always check the label/packaging for basic cooking instructions if in doubt. You can read their ‘Fit for Consumption’ policy for more information. MuscleFood are the best online butcher and healthy nutrition supplier bar none and are highly regarded by the CheckMeowt team. Not only do they provide excellent value for money, where you can often buy 5kg of their award-winning premium chicken breasts for £27 (£5.40 per kg) or even as low as £19 depending on the offers and discounts available (£3.80 per kg), but their selection of gourmet cuts and lean meats are often quality-assured (RSPCA monitored), plump and succulent with excess fat trimmed off. This means that you are always getting fresh, high quality protein in your diet. Your order is made the minute you complete your shop which also comes freshly chilled to your doorstep rather than being frozen to order. You can always enjoy a super fresh delivery with MuscleFood everytime! 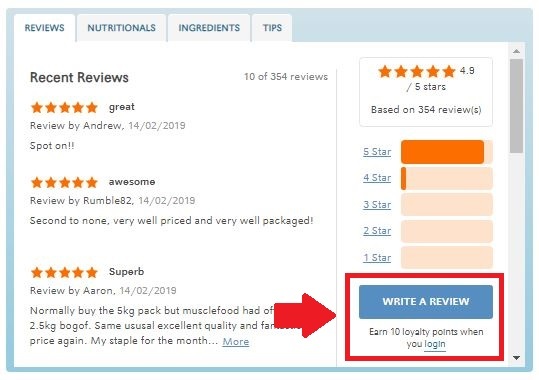 MuscleFood have been rated ‘great’ with over 70,000 reviews on TrustPilot which you can read through to get a better idea of other people’s experiences. Delivery is not cheap and can range from £0 up to £12.99 per order. Because you get your order based on wholesale prices, it’s much better to buy in bulk to save some extra cash as they typically have payment thresholds that need to be met when it comes to delivery fees. You’ll often find ‘free delivery’ being advertised onsite (and on CheckMeowt) when you spend £75 or more which is a very popular offer. An £8 charge is normally added to orders which don’t meet MuscleFood’s minimum basket threshold. · For Ambient only orders the minimum order value is just £10. · For orders with chilled items the minimum order value is £25 (Tesco is £40). This depends on when you place order. If you place your order between Monday - Thursday by 7pm, you’ll be eligible for 24 hour delivery on selected items. This includes: fresh meats, seafood, 5kg chicken breasts, liquid egg whites, exotic meats and more. If you place your order between Monday - Wednesday at 7am, you’ll receive your order in 48 hours. If you decide to place an order between Thursday - Saturday at 7am, you’ll receive your order in 72 hours. Thursday also includes an extra del charge and Friday normally has restricted slots. We recommend placing an order by 7pm between Monday - Thursday to receive your parcel in 24 hours. It is also worth bearing in mind that MuscleFood currently don’t deliver on Saturdays and their couriers usually deliver between the times of 8am - 9pm. All meats are delivered in a high-tech temperature controlled box that is designed to keep your order freshly chilled for up to 48 hours. · Temperature controlled box: These are made from superior closed cell, non cross-linked polyethylene foam which acts as a cushioning to keep your meats intact and fresh for up to 48 hours. 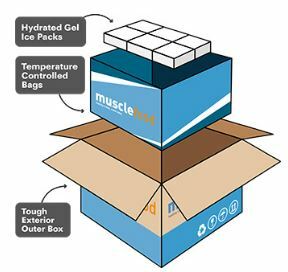 · Hydrated gel ice packs: These are pre-cooled and added to your box before your order is sealed for delivery to ensure your meat arrives at your doorstep chilled and unfrozen. · Triple-strength layered box: Your order is then included in an exterior outer box which is 3 times the strength of an ordinary box specially designed to handle the movement of chilled meats. Although the boxes are designed to keep your order fresh for 48 hours, MuscleFood will always aim to deliver your meat in 24 hours. All of the materials used within the packaging are fully recyclable or can be reused for other purposes. Once you have completed your order, you will receive an email with details of your courier and full tracking details. You can track your order through SMS where your courier will send you a text message letting you know your specific two-hour time slot of when your parcel will be delivered. · On the day of your delivery, your courier will let you know when your order is packed and on the way. · You’ll then receive a text message detailing your specific two-hour timeframe in which your order will arrive. · Finally, you’ll receive another text message from MuscleFood 15 minutes before your parcel is due to arrive (which is GPS-activated) to let you know your order is close by. You can either sign for the delivery yourself, select a safe place or leave it with a neighbour instead if you’re unlikely to be at home at the time. Just be mindful that your two-hour time slot is an estimation only as couriers may be delayed due to traffic and other outside forces. I’m sure we’ve all experienced late parcels at some point! 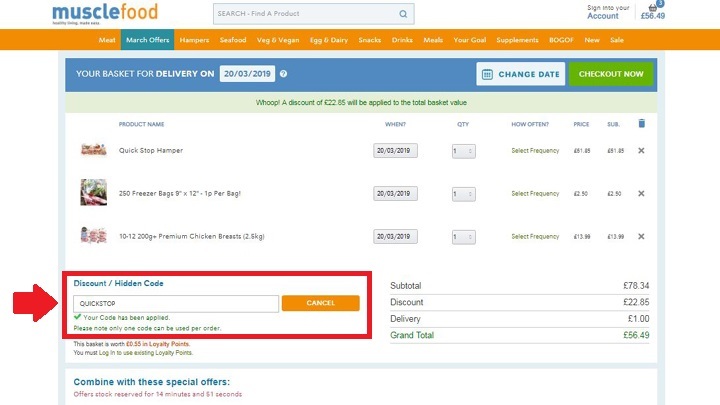 To cancel your order, simply log in to your MuscleFood account and click on ‘Future Orders’. From here, you should be prompted to empty your basket and cancel your order. If your order has been processed and payment has already been taken, you’ll be unable to cancel/edit your order. How do I stop receiving MuscleFood texts? We understand how annoying it can be to receive endless marketing messages! If you’re 100% confident the number was from MuscleFood, you can reply to the text message with the word ‘STOP’. All companies are legally obliged to acknowledge this and adjust their marketing communication system. If you’ve forgotten to opt out of these communications when you completed your order, you can do so by logging into your account and adjusting your settings in the ‘Customer Preference Centre’. You can then follow the opt-out links on the various mediums you’ll be contacted on (including SMS) to avoid receiving these in future. If you’re still receiving messages despite opting out, you can file a formal complaint to the Information Commissioner who can issue a fine. You can do so online or by phoning 0303 123 1113. How do I contact MuscleFood? If you’d like to get in touch with MuscleFood, you can do so by filling out their contact form where a member of their Customer Support Team will be in touch. It is worth bearing in mind that customer support is only available between 9am - 5pm on weekdays and 9am - 3pm on weekends. If you do get in touch outside of these hours, a member of the team will aim to get back to you on the following day. MuscleFood have one of the best kept secrets in the health and fitness industry. Every week, they feature some unbelievable belters on their Weekly Deals page showcasing selected best-selling products with special offers that expire every Monday (which they rarely advertise). You can even get up to 50% off on some of their award-winning meats, chicken breasts and supplements. This happens every week so don’t miss out on some epic savings as you’ll be a fool not to. On top of their weekly discounts, you can also find some bargains in their clearance section for products that are either approaching or have passed their best before date. Although these aren’t always for meat, you can often bag yourself savoury snacks, protein supplements and other merchandise at ridiculously cheap prices. If you’re a student, you’re in luck! 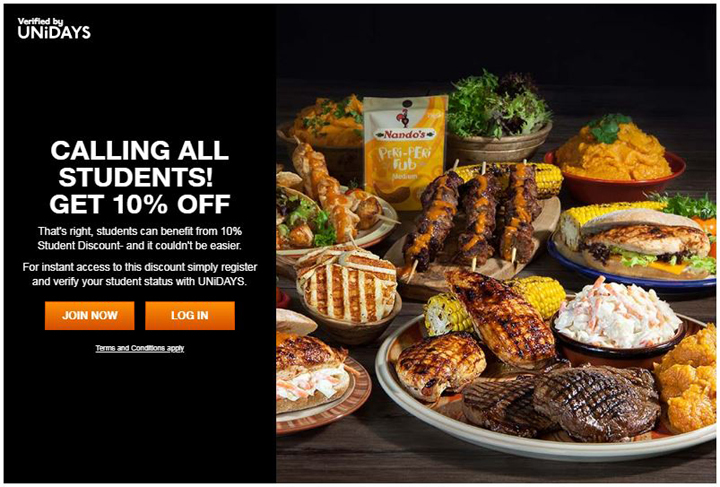 MuscleFood are giving all students 10% off their order through their exclusive partnership with UNiDAYS. No more scrimping by on microwave meals, tinned beans or stealing scanty protein sources from the cafeteria as you can now enjoy some decent savings when shopping with MuscleFood. Be sure to follow the link here for full access to the student discount where you simply need to register and verify that you are a full or part-time student through UNiDAYS to claim your 10% off code. Of course, there are specific terms and conditions attached to this discount which you can read here. Still interested in making your money go that bit further? Well now you can with MuscleFood’s Loyalty Points scheme. Like many other initiatives, the more you spend through MuscleFood, the more you’ll earn in the form of loyalty points to be used on your next purchase. You can earn 1 loyalty point (£0.01 in monetary value) for every £1 that you spend. Whilst this doesn’t sound like a lot, the fact that most of the items advertised are pretty much in bulk, you’ll be racking up a lot of points in no time! Loyalty points are only redeemable against products marked as ‘loyalty point products’ so these are not available on every single item. To claim your loyalty points, simply shop around as normal and click the ‘loyalty point products’ when checking out. Next, have a look through and select the item you want and click ‘add to basket’. You’ll need to be logged in to your account to claim your points. Whilst we’re on the topic of saving money, you can save more by being a part of MuscleFood’s refer-a-friend programme. For every person that you refer, whether it’s a close friend, relative or a meathead you just met at the gym, you will earn 500 loyalty points (£5 in monetary value) on your next order. The person you’ve referred will also receive a choice of 4 freebies including: free 4 premium chicken breasts, 2 free range hache steaks, wholemeal protein bread or 6 low fat pork sausages on their purchase. Simply log in to your account and in the account area, head over to the ‘Hidden Offer Code’ section to get your unique referral code where you’ll also be presented with a corresponding URL. When you give this code to the person you wish to refer, and they complete a purchase using your unique code, you’ll be instantly credited with 500 loyalty points. 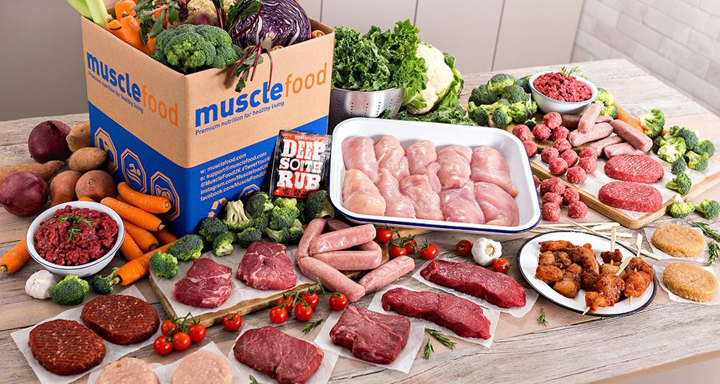 MuscleFood hold monthly competitions where the person who has made the most referrals will often win a free meat hamper or free gift cards/vouchers. Start referring as many people as you can today! Did you know that you could save EVEN MORE money by leaving a review of a product? Whether you’ve had a good or bad experience that you would like to share with others, you can now earn 10 loyalty points (£0.10 in monetary value) for every review you leave. This means that the more reviews you write, the more you’ll earn! To receive your loyalty points, make sure you’re logged in. Now head over to a product page you would like to leave a review on, write it up, hit submit and your points will be added into your account. There is, however, a limit of only 50 reviews (£5 in monetary value) that you can leave onsite. Every little does help in the long-run! It’s also a great idea to sign up to their mailing list where you’ll always be kept up-to-date on the latest new product releases, offers, recipes, competitions, giveaways and more that you can take full advantage of. The additional information can also save you a lot of money and give you the inside scoop ahead of everyone else! You genuinely can’t afford to miss a thing. If you need to get in touch with the team, you can do so using their contact form where their support team are available from 9am - 5pm weekdays and 9am - 3pm on the weekend.